The two companies have come together to unveil designs for the project. 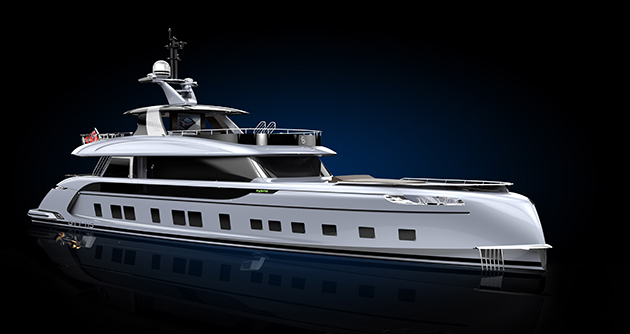 The 35-metre GTT 115 Hybrid is currently under construction at the Dynamiq shipyard in Viareggio and scheduled to appear at the 2017 edition of the Monaco Yacht Show. 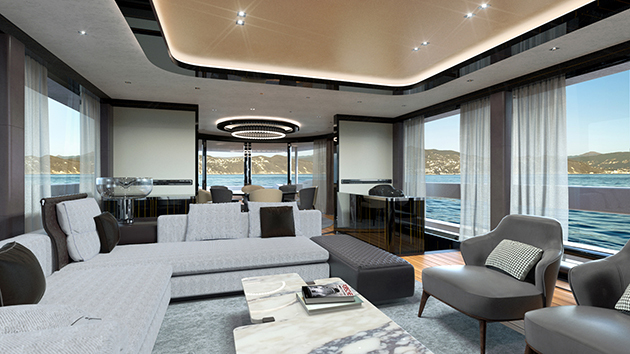 The yacht is the first to be built, with the Monegasque yard planning to build seven GTT 115s overall. The GTT 115 Hybrid is the first in a range of models to be developed with Porsche, with other models including a GTT 100 and a GTT 85. Porsche Design Group has designed both the exterior and interior of the GT 115, with the other two models still in development phase. 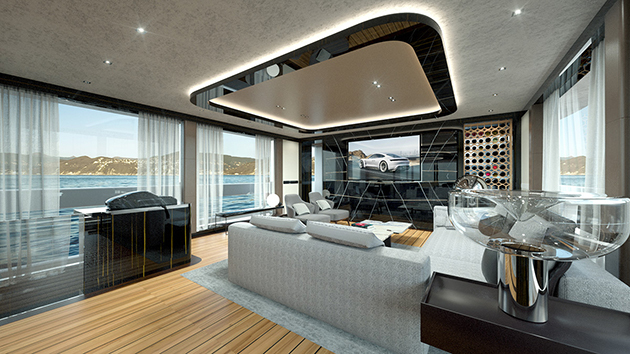 Roland Heiler, managing director of Porsche Design Studio, says: “Taking the spirit of high-performance sportscar styling to the high seas, the Dynamiq GTT 115 is designed to appeal to car lovers and forward-thinking yacht owners who appreciate the advantages of speed, style and our philosophy of intelligent performance.” The fast-displacement, lightweight aluminium yachts have been designed to be comfortable at both cruising and top speeds, with a transatlantic range. 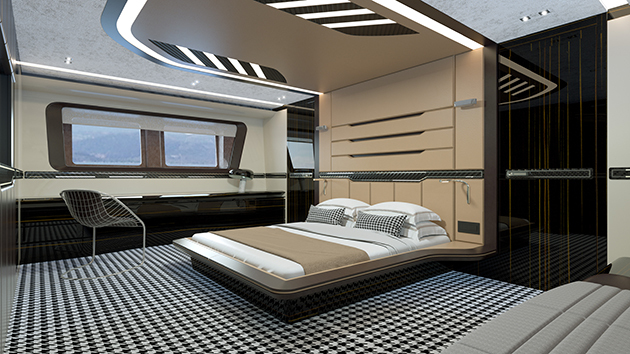 The hull lines of the GTT 115 have been developed by Vripack while Van Oossanen Naval Architects is responsible for the naval architecture of the GTT 100 and GTT 85 models. 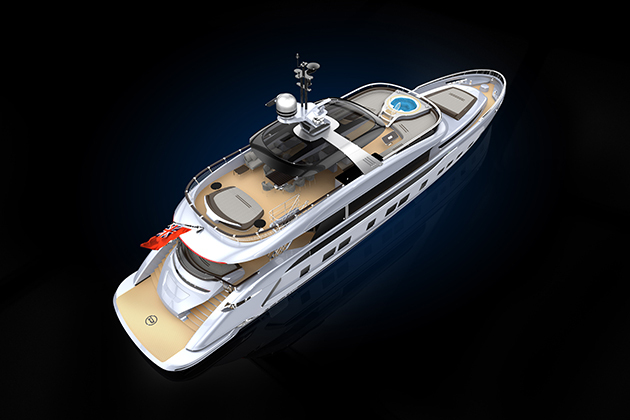 Dynamiq has a unique tool to help owners develop their yacht by offering an online configurator, where they can easily customise their yachts. Prices for the GTT 115 start from €11,900,000, and boast a production time of only 15 months from the date of order.